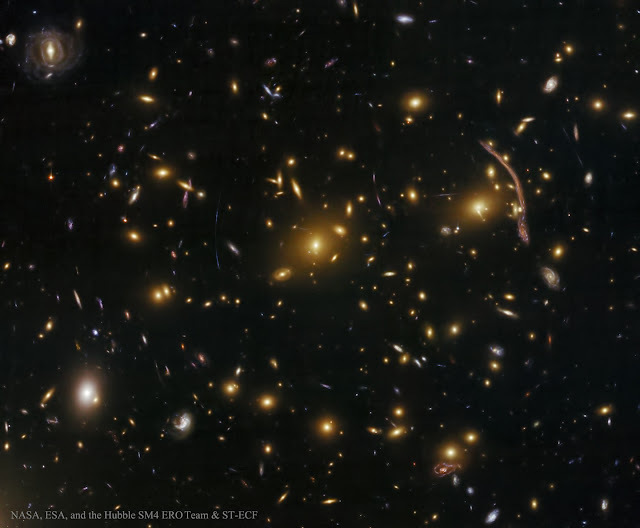 This is the galaxy cluster known as Abell 370. Astronomers had noticed the large arc in the upper right corner of this image decades ago, and in the mid-Eighties it was identified as the probable result of a gravitational lens. The Hubble finally made it possible to see this cluster in detail and confirm the hypothesis; the cumulative gravity of the cluster of galaxies acts like a giant lens, distorting the light that passes through it. That large arc of light is actually two perfectly ordinary galaxies behind Abell 370 that appear distorted when seen from this side. So it's not quite like seeing gravity, but it's pretty darn close. Click to enlarge and you can see numerous other arcs and distortions of more distant galaxies seen through the lens. 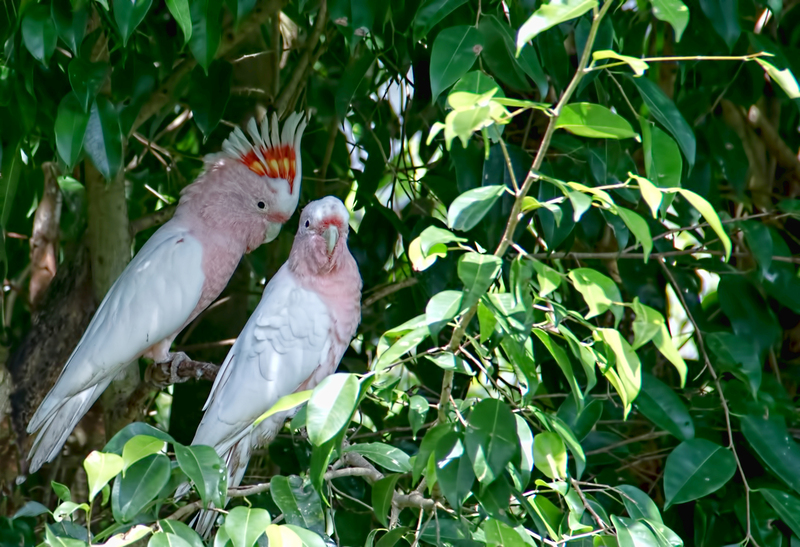 These lovely creatures insisted on hanging back modestly behind the branches, as though pink birds are a common sight anywhere, and pink birds with huge orange and white crests occur anywhere except Australia and certain drug-assisted fever dreams. They're pink cockatoos, or Major Mitchell's cockatoos, and like any sensible creature in the heat and humidity of Kuranda, they preferred to remain in the shade instead of strutting and showing off their unlikely splendor in the sun so I could get a decent picture of them. Even so, that is one impressive cockatoo. Well done, Major Mitchell! 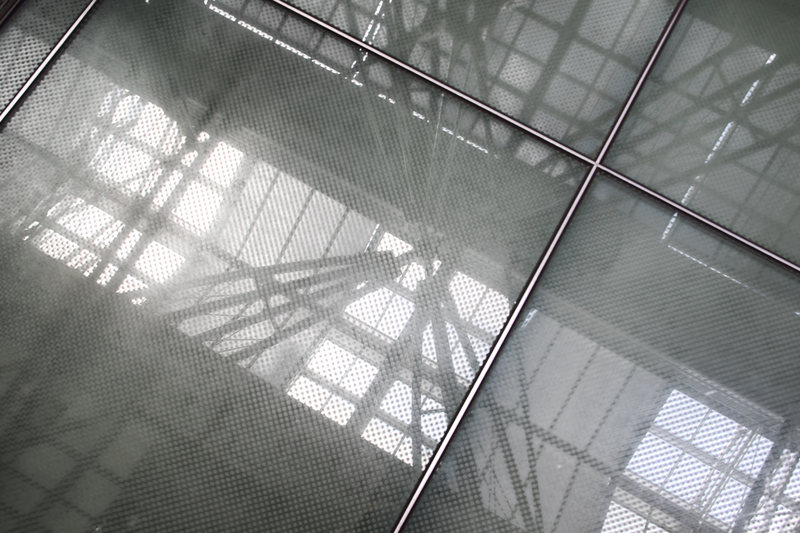 Glass floor at the Queen Victoria Building in Sydney. 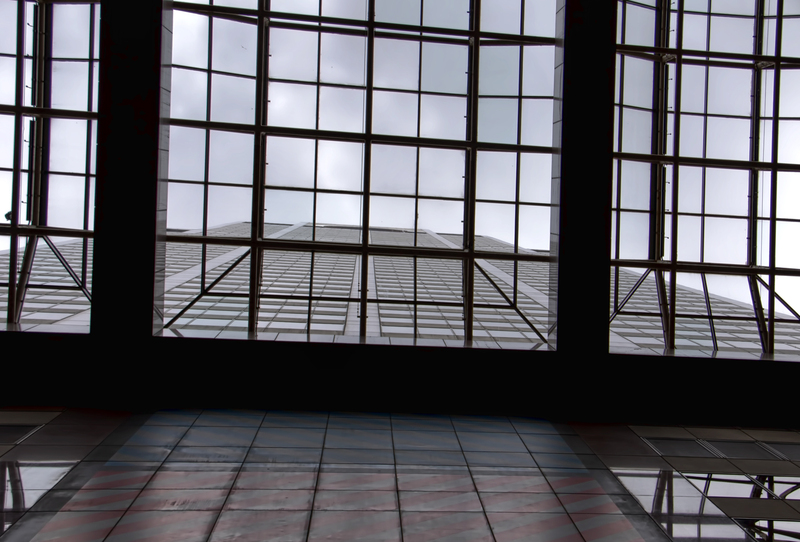 I've managed to overcome many of my phobias, but there's still something about walking on a surface that I can see through -- glass or grate -- that makes me queasy. 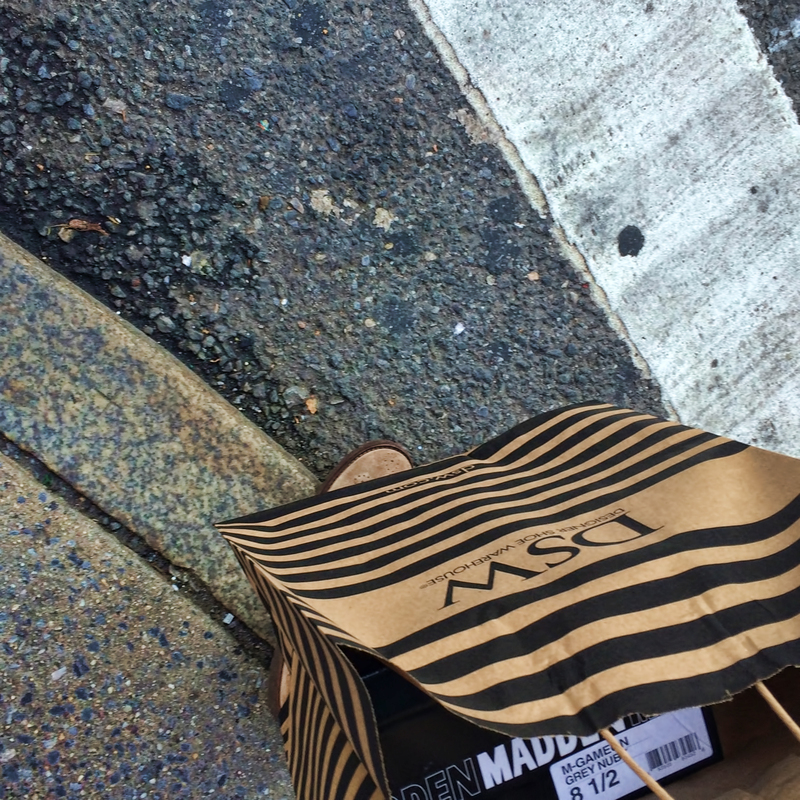 I just try not to look down. But if there are interesting reflections like this, then I don't really have a choice. 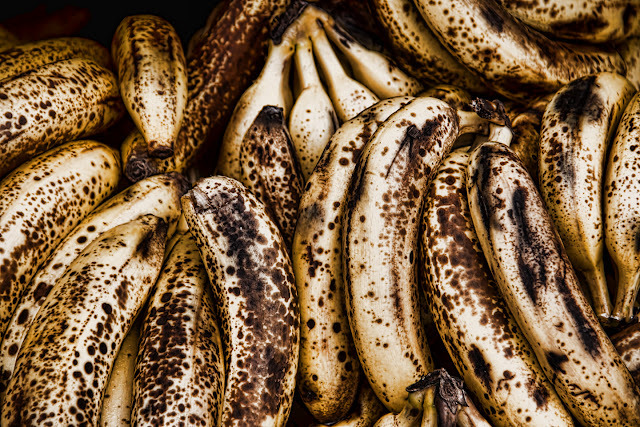 When Bad Things happen to Good Fruit: bananas for sale at a sidewalk stand during a heat wave, and turning from overripe but still good for baking into disgusting slime missiles so rapidly you could actually see it happening. They do it on a galactic scale, so from our perspective it's very very big and very very slow. Galaxies are mostly empty space; it's not as though stars slam into each other and everything blows up. They slide a little closer to each other and gravity shifts; gases eddy and coalesce and maybe one star leeches some mass off another as they pass. 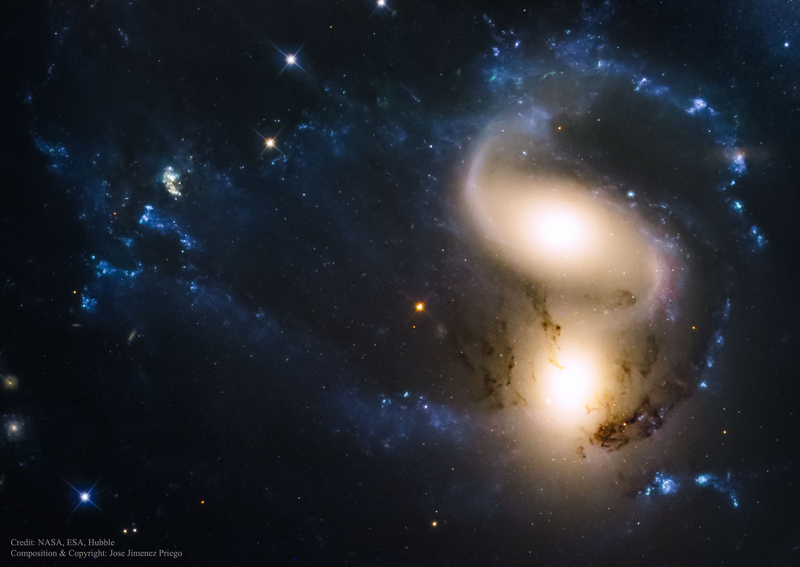 These two galaxies are part of Stephan's Quintet, a galaxy group 300 million light years away in Pegasus. While the ongoing collisions of four of the five galaxies in the group might show a distinct lack of anything humans would classify as drama, they're photogenic enough to have snagged a major movie role -- in the beginning of It's a Wonderful Life, the angels who discuss the life and times of George Bailey are played by none other than Stephan's Quintet. 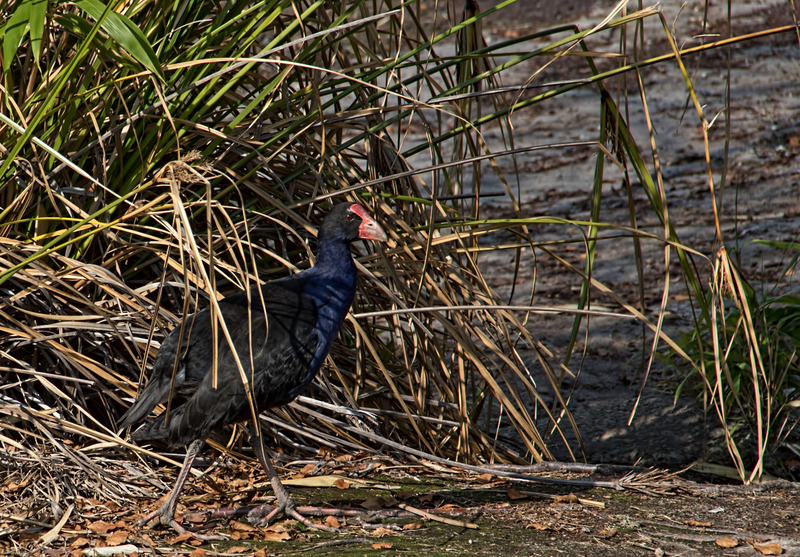 This is a pukeko, the New Zealand variant of the Australasian swamphen, hanging out in the swampy grounds in Rotorua. One odd fact about New Zealand: except for a few species of bat, there are no indigenous land mammals there. As a result, many of the native birds are flightless, and even the birds that can fly build their nests on the ground because they had no ground-based predators. But the Maoris brought rats and dogs, and Europeans brought all the usual small mammals, and nesting on the ground, or being unable to fly, is no longer a safe lifestyle for birds and most of the native species are now endangered. 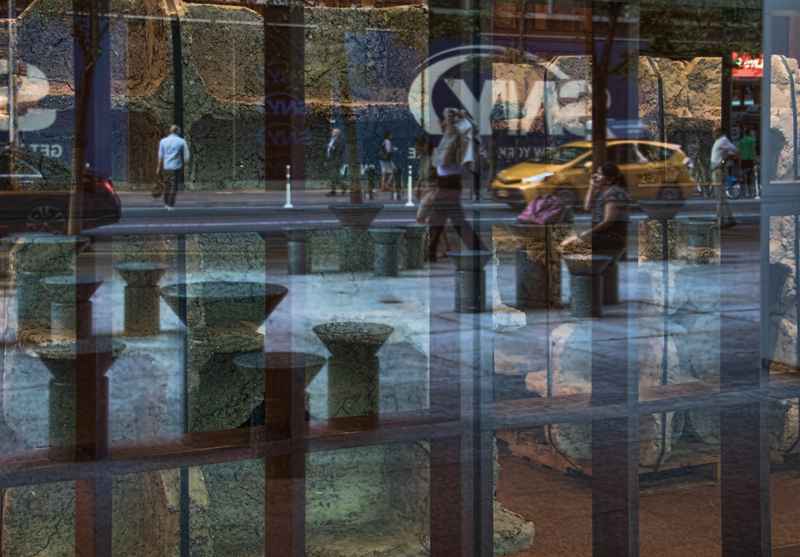 Bonus post -- another set of reflections with the concrete blocks behind the glass. So many layers, so many textures. I've taken many pictures of this and I never get tired of it: the skylights in the atrium at Equitable Tower, with the building looking like a walkway that ends abruptly in cloud. This amazing picture was taken in Australia, like so many of the best Earthbound pictures of the sky. It shows all of the visible planets lined up like obedient schoolchildren under the stern gaze of the Milky Way. 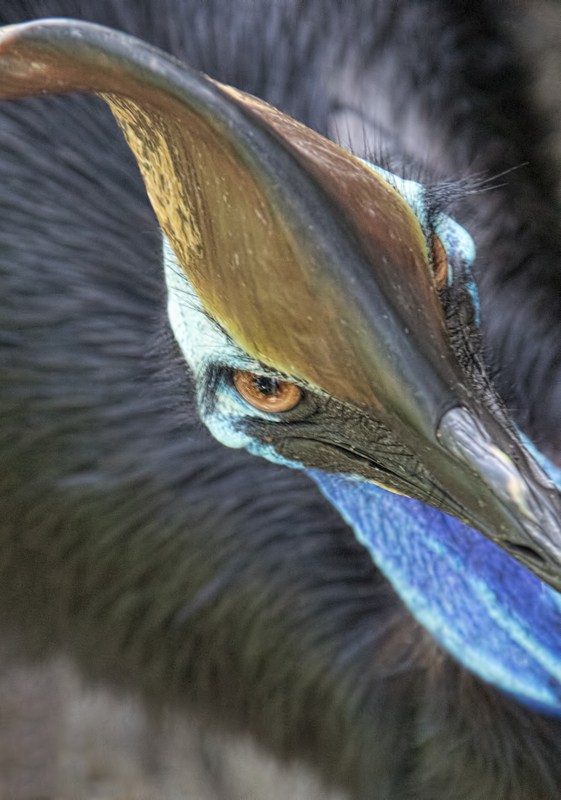 Another flashback to more tropical climes: another cassowary in Kuranda. 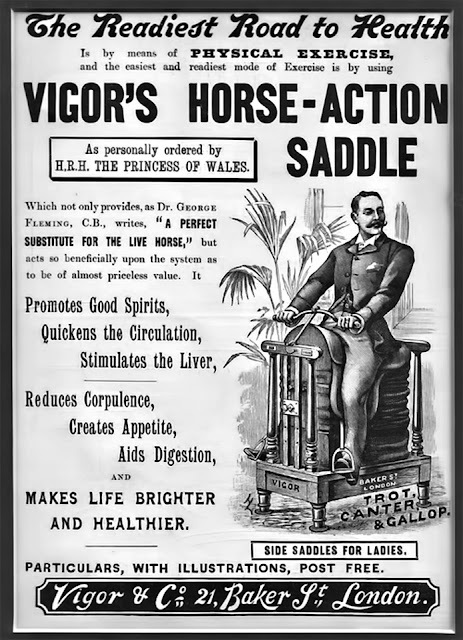 This picture was a little dark and noisy, but I like the point of view: seen from this angle, that bony ridge on top of his head isn't quite so alarming. 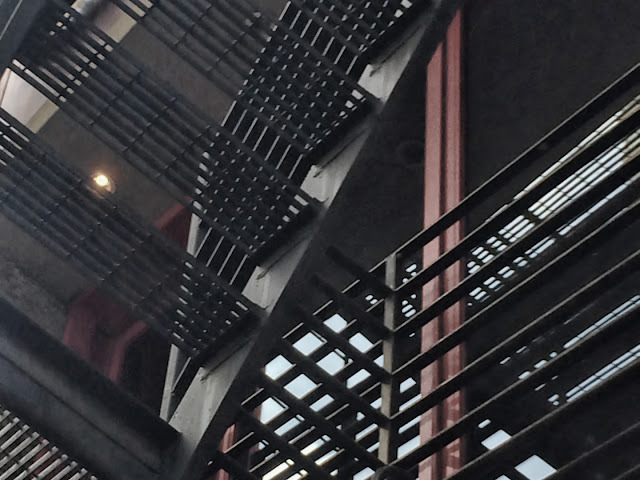 A fire escape and railings make some interesting grids outside a bar on Eighth Avenue. It's going to be another very hot and humid day here so I think I'll be cleaning out a closet with the air conditioning on. 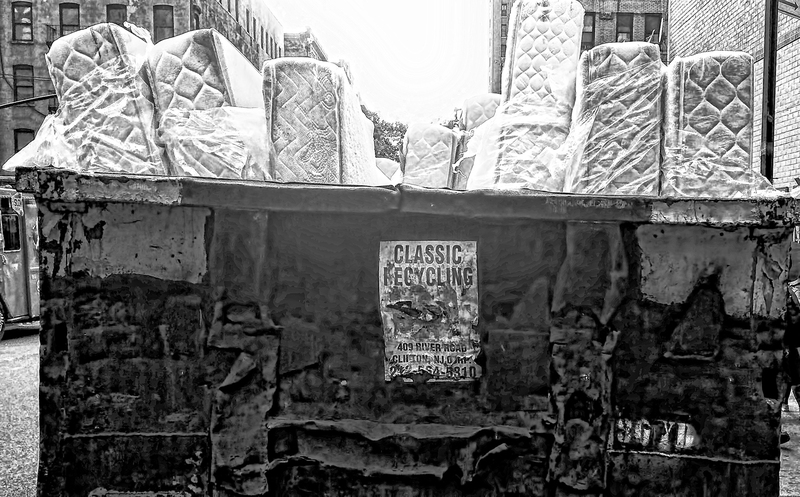 A suitably gritty filter over a quick phone shot of a dumpster parked on a city street, inexplicably filled with mattresses still wrapped in plastic. It might be the result of a fire in a bedding store -- it's definitely been hot enough for some serious spontaneous combustion. We don't have photos from the Juno probe yet, but in the meantime there are still plenty of amazing images of Jupiter from the Cassini mission to savor. 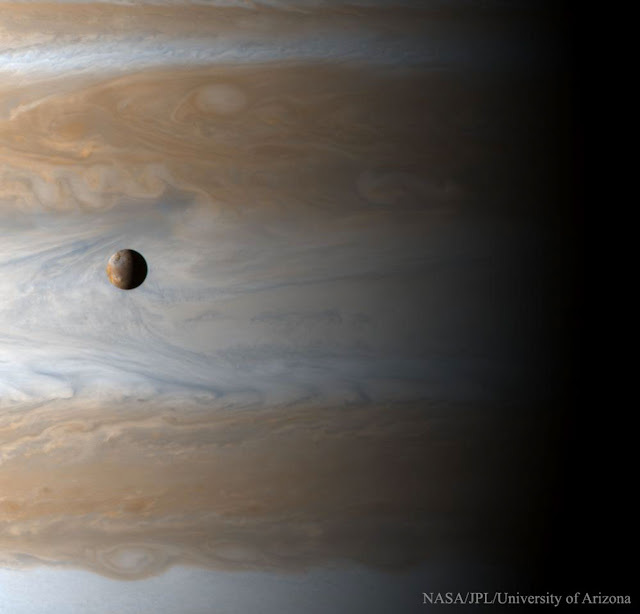 This look at the moon Io sailing high over the Jovian clouds was taken New Year's Day 2001. 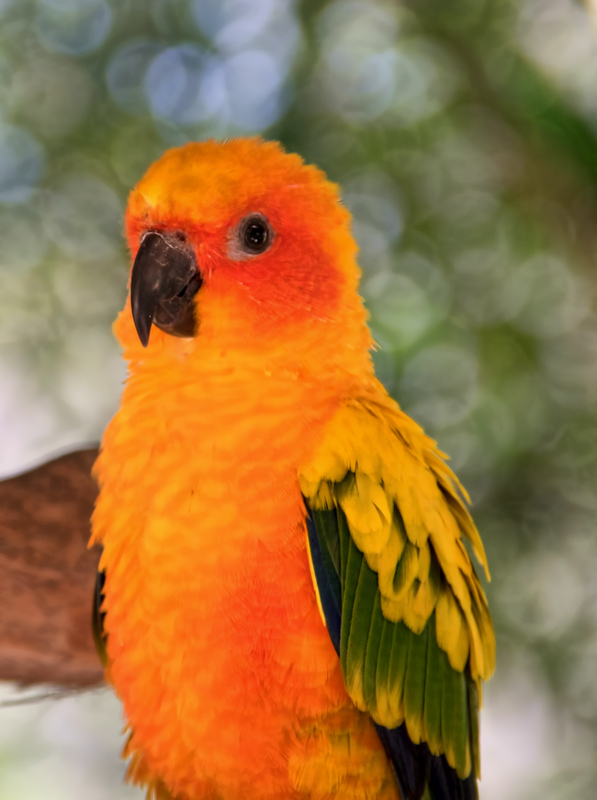 A sun conure in Kuranda, looking ever so demure, but no doubt plotting how to eat the buttons off your blouse. It's not a very crisp image but I can't resist that face. There's a corporate art exhibit behind the glass, with several pieces consisting of stacked concrete shapes. It makes an interesting texture behind the odd shapes of the plaza seating and the New York street reflections. 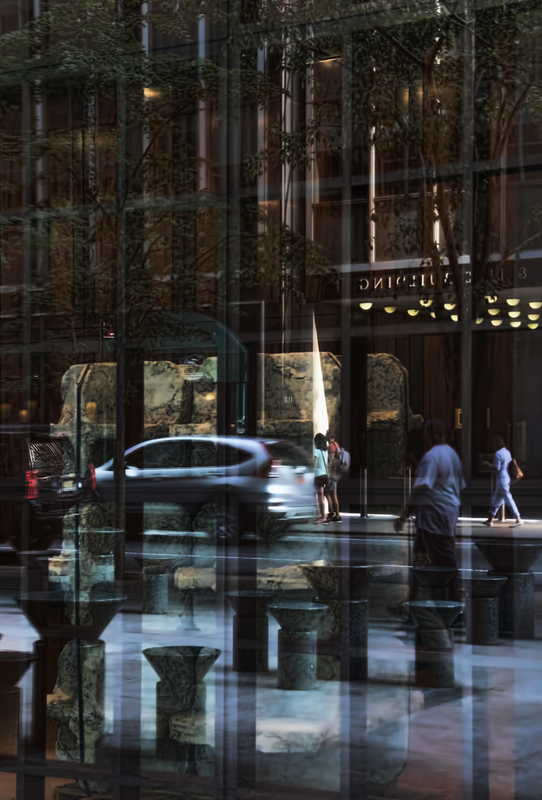 I'm going to go back and capture some more reflections before the exhibit closes. 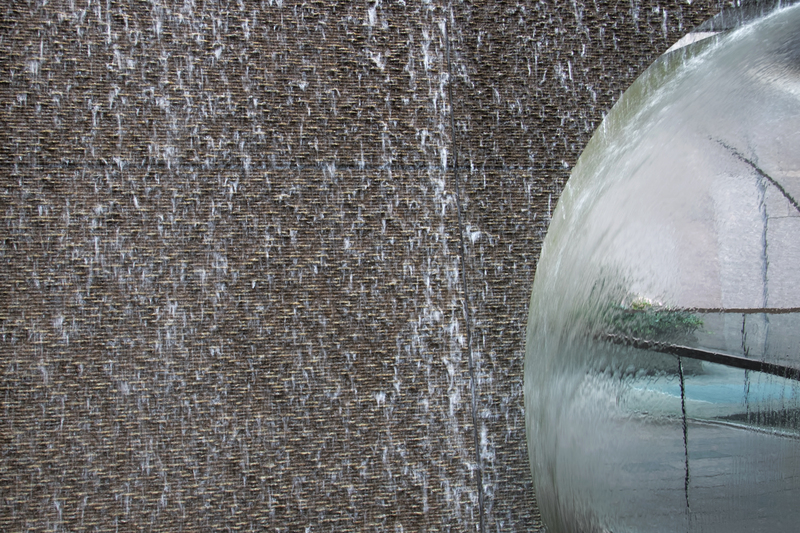 A wall of water in one of the many little corporate mini-plazas scattered through Midtown Manhattan. 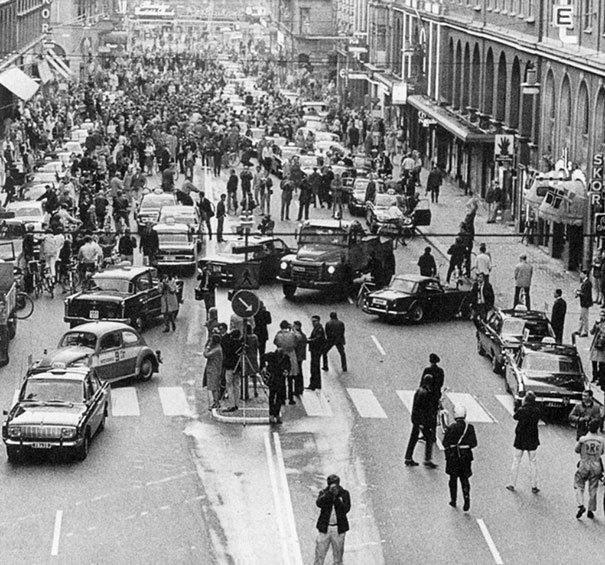 Swedes had resisted the change for 40 years, even though their Scandinavian neighbors drove on the right, and most Swedes had cars with the driver's seat on the left. You can't make out the details in the photo, but I'm confident that every single driver is looking grumpy. Posted for no particular reason -- it makes me smile, and it is a fair representation of how things are going at the office these days. I had hoped that I had done my last Windows/Microsoft Office upgrade but alas that was not the case. 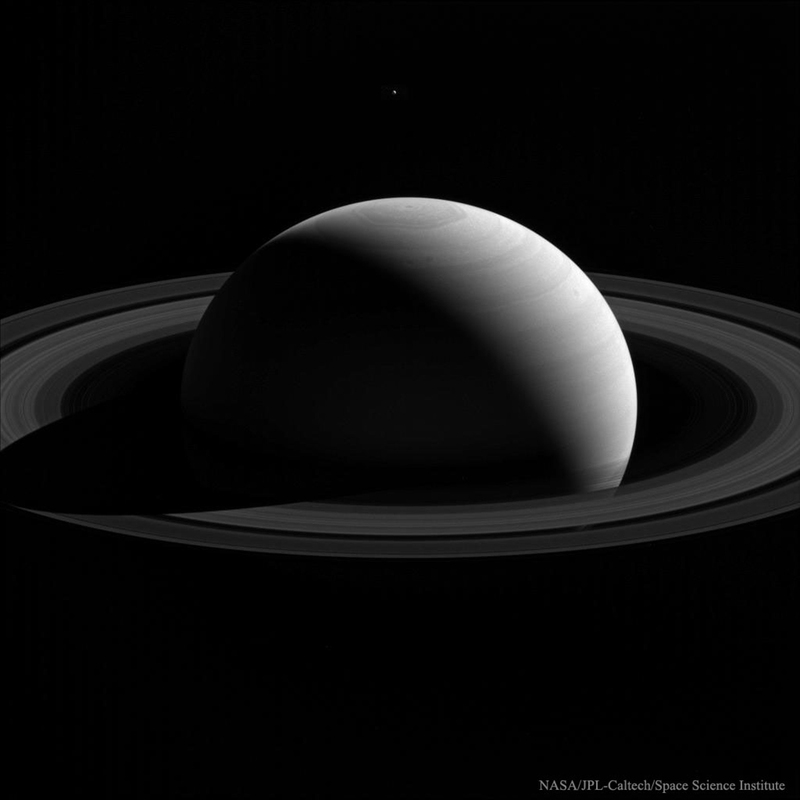 This image, taken by Cassini, shows the dark side of Saturn, something we never see from our faraway perch on Earth. You can just see the moon Tethys as a bright dot above Saturn's north pole.